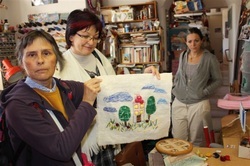 ﻿﻿Anna Dotsenko from Estonia and Ani Yoveva from Bulgaria are two very talented ladies, who set up their own handmade business. 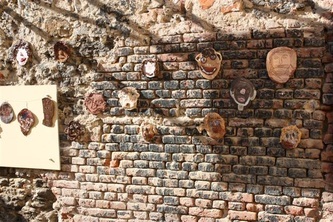 The unique feature of their products is the connection of tradition and modern in their work. 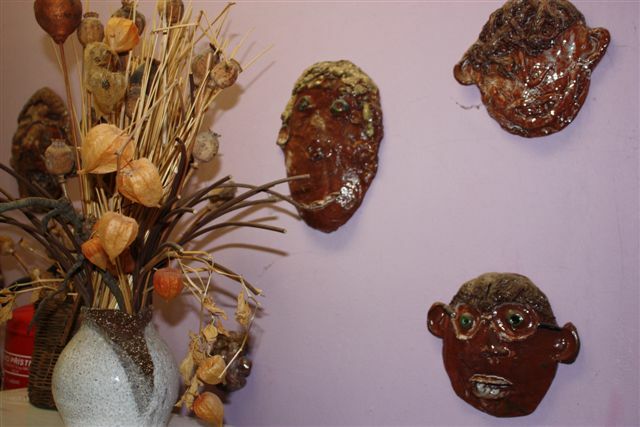 If you are interested in some of their handmade products, have a look at facebook. The "You can do it!" European Project was awarded! 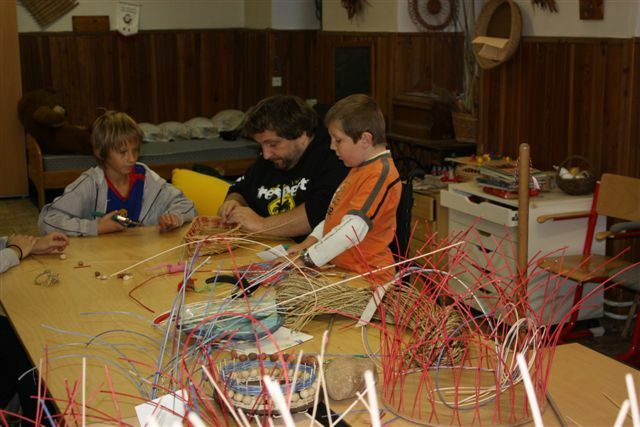 We are very glad to announce you that the You can do it European Project was awarded by the Czech National Agency. 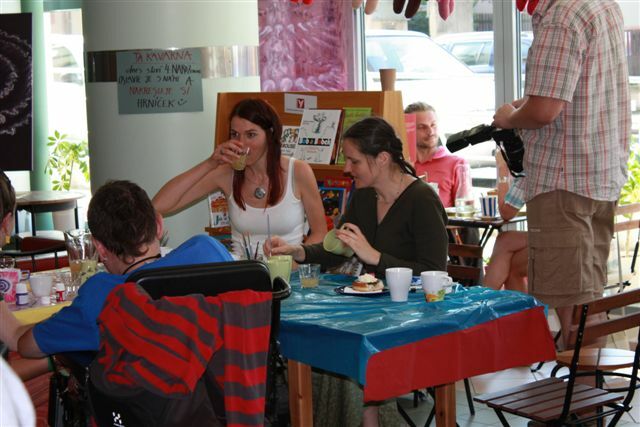 Further information about the You can do it project as well as about further good practice examples from the Czech Republic are available directly by the Czech National Agency "Dum Zahranicní spolupráce, Národní agentura pro evropské vdelávací programy." It is a pleasure for us to present our Good Practice Handbook. The stories and descriptions within the Good Practice Handbook reflect the work of the You can do it! 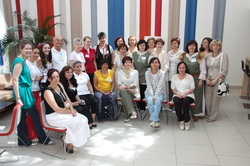 project team during the two years project partnership. The Handbook is available here. 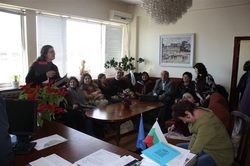 After almost two years of cooperation within the Yocait Grundtvig Learning Partnership, the final meeting was organized between 3. - 7. June 2012. Our Hungarian partner Notars Közalapítvány hosted the Yocait Project partners as well as the learners from eight European countries in the beautiful city of Budapest. 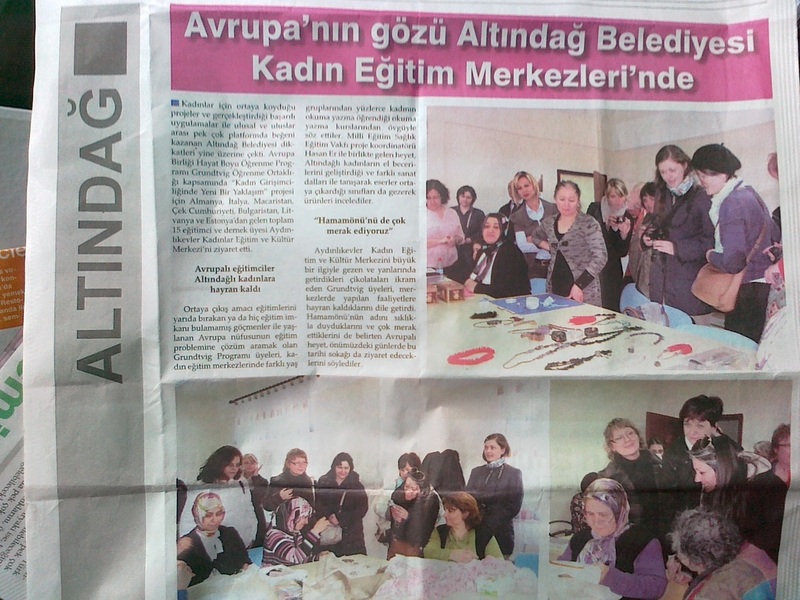 During the meeting the project partners and learners had a great opportunity to talk to young women about their start up - starting from the creation of an idea through detection of possible financial resources to advertising possibilities and distribution of the products. 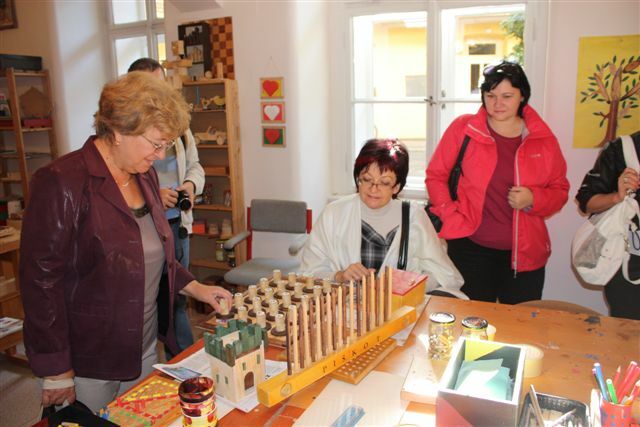 As highlight of the project and the meeting in Budapest, a Market of Cultures was organized, where all learners exhibited their products and offered different creative workshops for the visitors. For more impression please check the Menu "Market of Cultures". The You can do it! 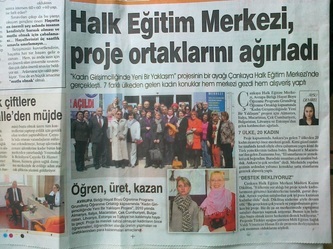 European Project in the Turkish Media! 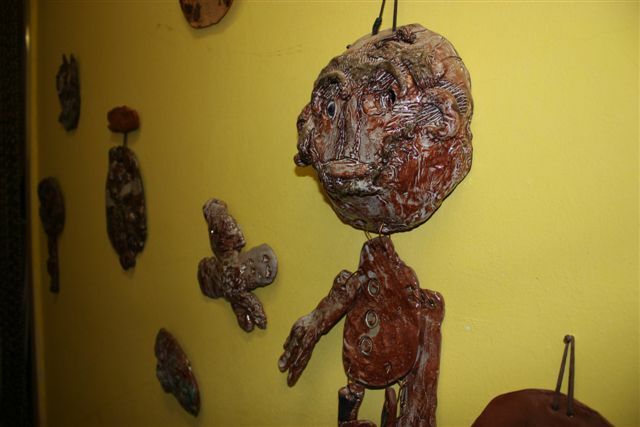 The next meeting within the European project YOCAIT was hold in the capital of Turkey, in Ankara. Between 28. and 31. 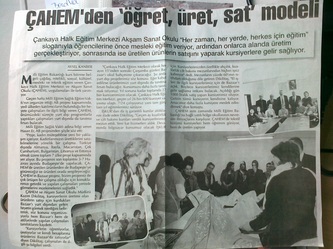 March 2012 the project meeting was organized by our partner Milli Egitim Saglik Egitimi Vakfi. 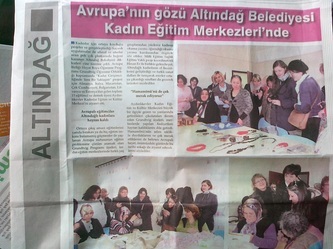 The aim of the meeting was to discover the world of creative women in Ankara, learn some handcraft techniques used in their work ... and: to experience the cultural and culinary specifities. Some impressions from the meeting. If Easter or Navruz, there are many interesting Spring traditions throughout Europe. Read more about it in the section Spring traditions. 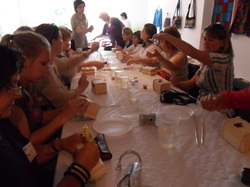 "Profit in handcraft is not only about making money but it is also for personal satisfaction"
Between 14th and 17th of September 2011 the Agentura GAIA o.s. hosted the YOCAIT project partners in the fabulous city of Prague. The main focus of this meeting was on people with psychical and physical disabilities, who suffered from social exclusion. 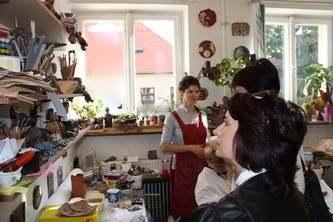 "I decided to organize meeting in Prague in a special way – to show that handcraft is not only a business for women. 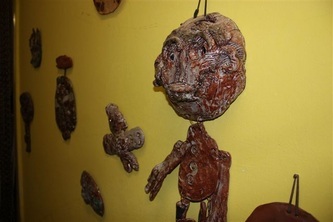 Profit has wider meaning, it is not only making money, this could be the personal satisfaction, the way for personal development and grows, feeling of being useful member of society especially for people with psychological of physical handicap." Maria Haisová, Coordinator of the meeting in Czech Republic. 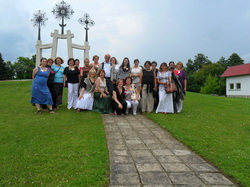 The third project meeting took place between 04. and 06.07.2011 in Sakiai, Lithuania__. The aim of the project meeting was to visit different organizations offering creative workshops, talk to female self-entrepreneurs about their business set-up as well as to exchange about various handracft techniques which are practiced in the region. 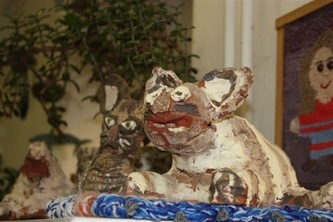 Please visit our online Market of Cultures and get some impressive images about the local craftsmenship of Sakiai. The project partners as well as the learners of each partner organization visited the Labour Exchange office in Sakiai, where Mrs. Rasa Masteikiene explaned the situation of the unemployed women in the Sakiai region. The biggest group of unemployed women is the one living in rural areas and without formal education. The Labour Exchange office in Sakiai has different measures to help these and other groups of women suffering from unemployment, one being the support of self-entrepreneurship. 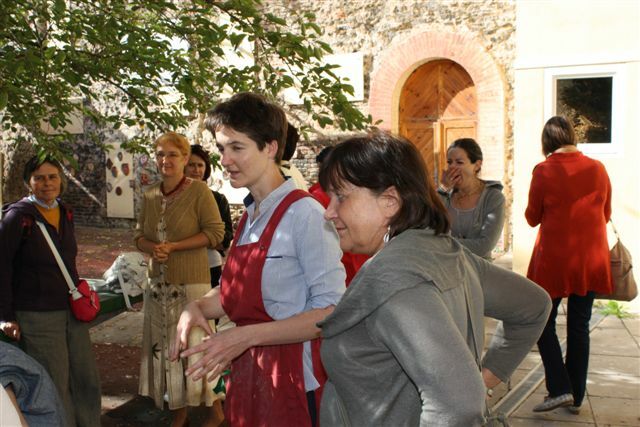 The Labour Exchange office sends women to different courses to learn a trade, employs them to twine Christmas wreaths. Asta Bybartiene sews foot wear using natural materials. The fabrics for the footwear she receives from furniture factories, thus also contributing to a sustainable handling with resources. 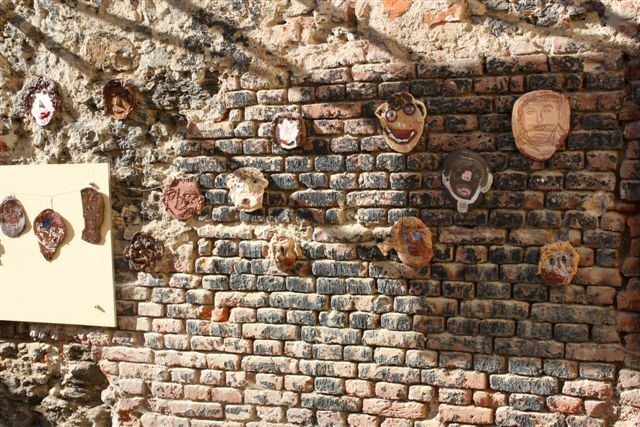 She and her husband build an own workshop and warehouse for the home production of footwear next to their home. 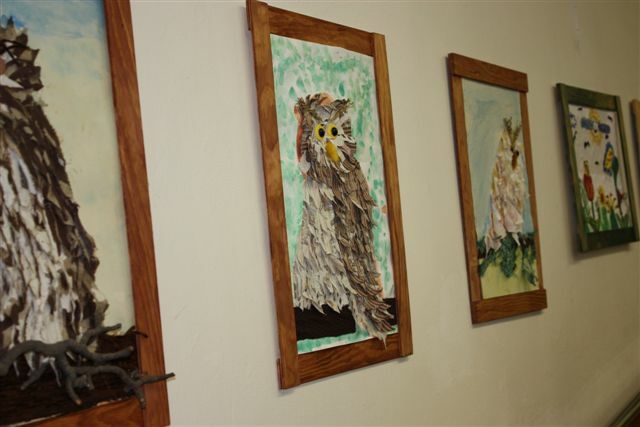 Mrs. Bybartiene started her business ten years ago. First of all she tried to sew a pair of slippers for her daughter, than for family members. Later friends asked to sew shoes for them, too. She liked this activity. Once she tried to sell slippers and the business started. What is considered waste at the furniture factory helps to keep up a successful handcraft home business. 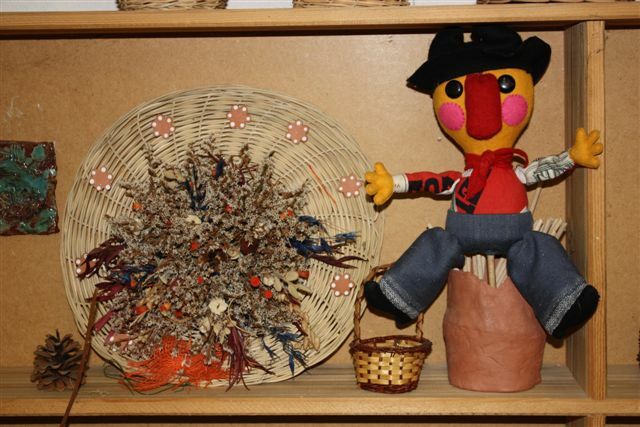 The inevitable waste from the shoe sewing business can be used even further for the creation of little handrcafted toys, as Nadezda Lanberg from Estonia pointed out. Mrs. Bybartiene happily handed a big bag with remains of the shoe production to her. The website reflects the views only of the authors, and the Commission cannot be held responsible for any use which may be made of the information contained therein.